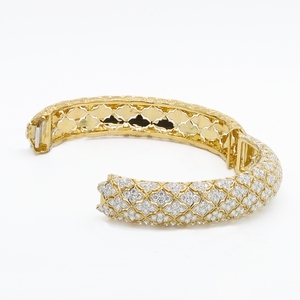 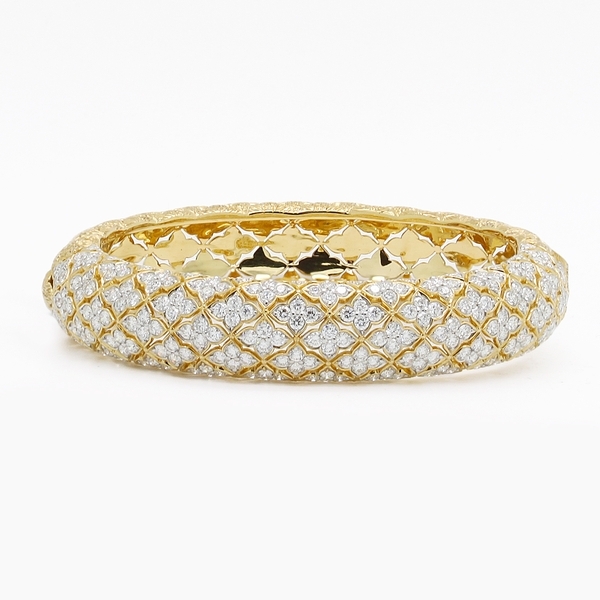 Diamond Hinged Bangle Bracelet at Reliable Gold in Providence, RI Reliable Gold Ltd. 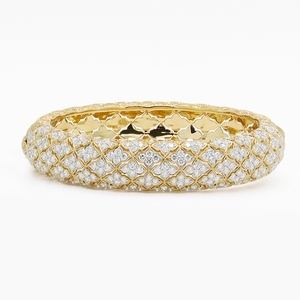 Absolutely shimmering and beautiful hinged bangle bracelet! 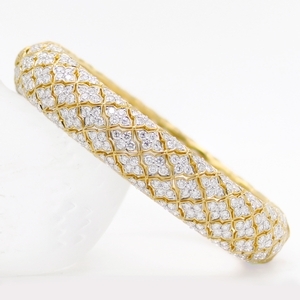 With a clover-like motif pattern of 252 round diamonds, approximately 6.62 carats total weight and set in 18K yellow gold, this gorgeous piece is sure to be the star of your jewelry box!